Please first read carefully the following frequently asked questions below before contacting us. All information about the entry process can be found here. Do not try to request additional places. No response will be sent to questions already answered here. I got an error "payment refused" while paying. Why? The EurILCA banking system is PostFinance/Ogone, a level-1 PCI DSS compliant provider of online payment services. The system will check the card validity and credits to pay over internet with the amount of the application/entry fee using 3D secure which could ask for a verification code through SMS or your customer care account. In case of error, this could be VISA/MasterCard because they blocked the payment considering it as hazardous operation or your own bank because your monthly/weekly limit is reached or your account is not allowing you to pay this amount over internet payment services. Check first that the name entered in "cardholder's name" field is correct. By default this is prefilled with your first name and family name but you should correct it with the real name displayed on the card you're using. Could I be refunded in case of canceling? Please refer to Notice of Race for entry fee refund policy. I need a receipt/bill for my entry. Log in to your account here with your World Sailing Sailor Id and password. Go to "Applications". You'll find the receipt to download for your entries. Could I do my payment by bank transfer? No, this is not possible. If your card was not accepted, retry or try a new card. Please go here for more information. I got a place offered but the amount I have to pay is more expensive than others have paid. Why? You're completing your entry after the event entry closing date. Please refer to Notice of Race for entry fee process information. I have a place offered but I don't know if I will attend to the event. Could I be refunded? If you cancel before the entry closing date you will be refunded minus the administration and banking charge fee (see Notice of race). After entry closing date no refund is possible. I cannot complete an application form. It shows "Late application will open on...". What do I do? Applications for Entry are now closed. Please come back when late applications will open and complete a late application form. I did not received the verification email. You received an email from EurILCA containing a link to verify your email. Please check your spam and junk mails. We recommend to add entry@eurilca.eu to your trusted recipient list. You can log into your personal account on the login page to ask for a new verification email here with your World Sailing Sailor Id and password. I have made an application for entry but have not received any emails from EurILCA. What do I do? First, please check your spam and junk mails. We recommend to add entry@eurilca.eu to your trusted recipient list. You can check whether your application has been received by EurILCA by searching for your name on the application list. If your name does not appear, then your application has not been received and you should try again making sure to read all prompts and information. If your name does appear on the application list then please contact EurILCA here with your name, World Sailing Sailor Id and name of the championship. My email address has changed. What do I do? Log in to your account here with your World Sailing Sailor Id and password and update your email in the Profile menu. I made a mistake in my World Sailing Sailor Id. What do I do? Create a new application on the right championship with the right World Sailing Sailor Id and cancel your mistaken application using the link in the application email you received or log in to your account here with the wrong World Sailing Sailor Id and password. I have made an application on the wrong championship (Girl instead boy,...). What do I do? Create a new application on the right championship with the right World Sailing Sailor Id and cancel your mistaken application using the link in the application email you received or log in to your account here with your World Sailing Sailor Id and password. I accidentally canceled my application. What do I do? Log in to your account here with your World Sailing Sailor Id and password and open again your application. If you are not allowed to do so, this means that the ranking date is reached. Please come back when late applications will open for your championship. I tried to ask for a new password but it says "no member found". What do I do? First check that you are using the email used while creating your account and that you filled correctly the captcha using the right format "NAT-123456" (ex: "FRA-198969"). You tried to ask a new password for an account which is not existing on the eurilca.eu website. Once you complete an application for a championship, your account is automatically created with the password you entered in the application form. Then you can log in here with your World Sailing Sailor Id and password. Accounts created on eurilca.org website are not valid in eurilca.eu. I made a mistake while making my application. What do I do? Log in to your account here with your World Sailing Sailor Id and password and update your profile or your applications consequently. This championship is not requiring an application fee (see Notice of Race). When a place will be offered, your payment will allow you to confirm your participation in the championship. I have made an application for entry but I want to cancel it. What do I do? Use the link provided in the mail you received to confirm your application. You could also login to your account here with your World Sailing Sailor Id and password to view and edit your applications. If a sailor wants to enter after the end of the "Application for Entry" period is this possible and what will happen? Late application can be made (please check the Notice of Race for the date from which extra places will be offered). Late applicants are only eligible for extra places. Laser Class Associations will need to process any late applications deciding if these sailors should be entered into the list for requesting extra places or if the application should be declined. Can a Laser Class Association or other person complete an application for entry on behalf of a sailor? Yes, it is preferred that a sailor make his or her application themselves but there is the opportunity for a Laser Class Association, coach or parent to make the application on the sailors' behalf. I'm not a sailor and I need to contact you. Feel free to contact us here and fill in the appropriate fields. I cannot find my answer to my question, I really need to contact the EurILCA support team. Please inform us about you and your issue to be efficient with your question. 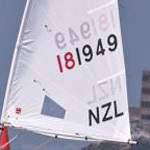 Country, name, World Sailing Sailor Id, email, status (sailor, coach, support boat/team, disctrict manager) and all the steps done before having an issue. No response will be sent if you support query is incomplete!